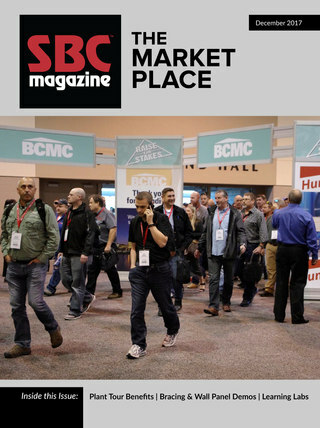 What Makes SBC Industry News Valuable? 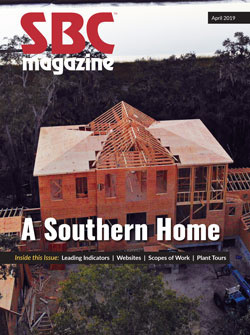 The loyal and rapidly expanding readership of SBC Industry News has come to rely on this weekly email communication as a valuable source of pertinent information for the structural components industry. The potential content of SBC Industry News is gathered from a wide variety of sources, including news links, online searches, press releases, etc. SBCA’s goal is to compile pertinent information posted throughout the web over the recent past and then select information based on what our readership has found interesting and its direct relevance to component manufacturers. Over the years, SBCA has received extensive feedback and we have honed our approach related to both the quantity and quality of the content we republish. Whenever possible, we clearly reference the source of the content at the top of every article in case the reader wants to view this information in its original format. We refrain from editorializing, as we have determined that it is best for articles, right or wrong, to stand on their own merits and in their original context. Or goal is to provide current information and events that will help our readers get new and relevant ideas, think about both positive and negative items that may influence industry trends and add operational insight. In the same vein, SBCA members and staff also write original content. Here is where we take available facts and provide additional analysis and insight focused on our readership’s interests, risk exposure and opportunities. This information then becomes part of the public domain, available online to anyone for future use. Many times the goal of publishing information is help with the mitigation of downstream risk when this kind of information can be a significant asset to component manufacturers. Occasinally, an article included in SBC Industry News elicits an emotional response from our readers. This is only natural as ours is a bright and passionate industry, and the great people who work in it from time to time take issue with something posted by someone else on the internet. We want to be very clear we are sensitive to this fact. Our goal is always to provide items that are germane and provide a perspective for industry members to think about. There are instances where, depending on one’s frame of reference, an issue at hand can be viewed in a positive or negative light. It is extremely difficult for us to predict any reaction and in no event is there a desire to drive any particular reaction, given the information is meant to stand on its own merits. It is our firm belief knowledge is power and awareness is the first step toward effective and positive action.